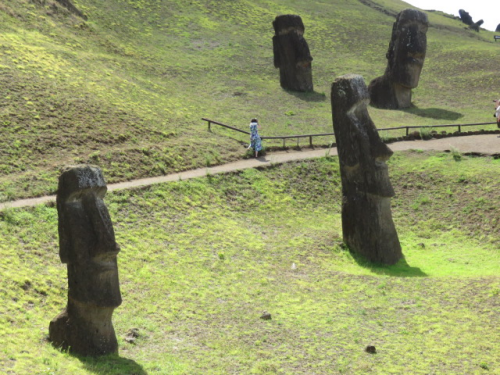 Three years ago I had a chance to see the iconic Moai statues on Easter Island. This year we paid a visit to Machu Picchu to see how a different culture made use of their abundant stone. I feel a kinship with both of these cultures because I understand how difficult it is to carve stone and shape it to your will. But I will always stand in their shadow because they worked in such a large scale with very rudimentary tools compared to what’s available to me today. Visiting these ancient sites puts me in awe of these very “old school” stone carvers and sculptors. PREVIOUS POST Previous post: Metal anyone?